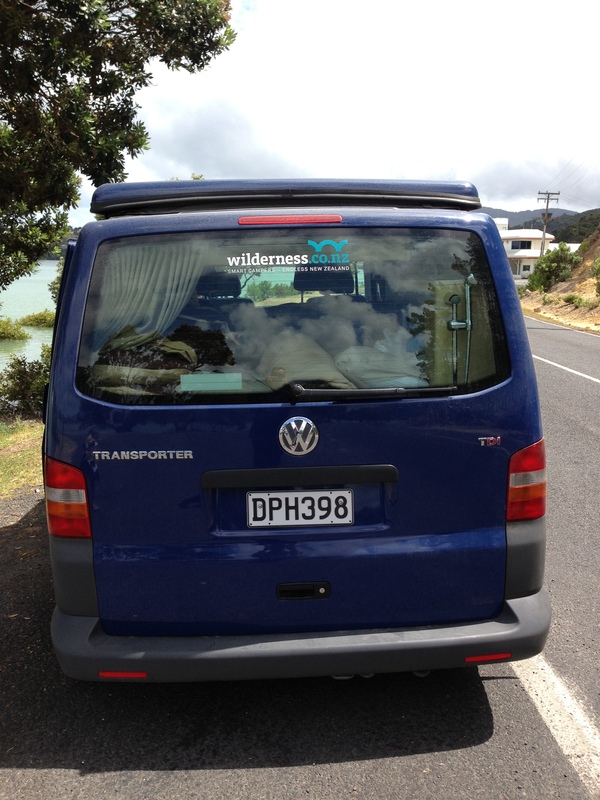 She may not be the fanciest camper van in town, but she is cute and blue and our home for 33 nights. 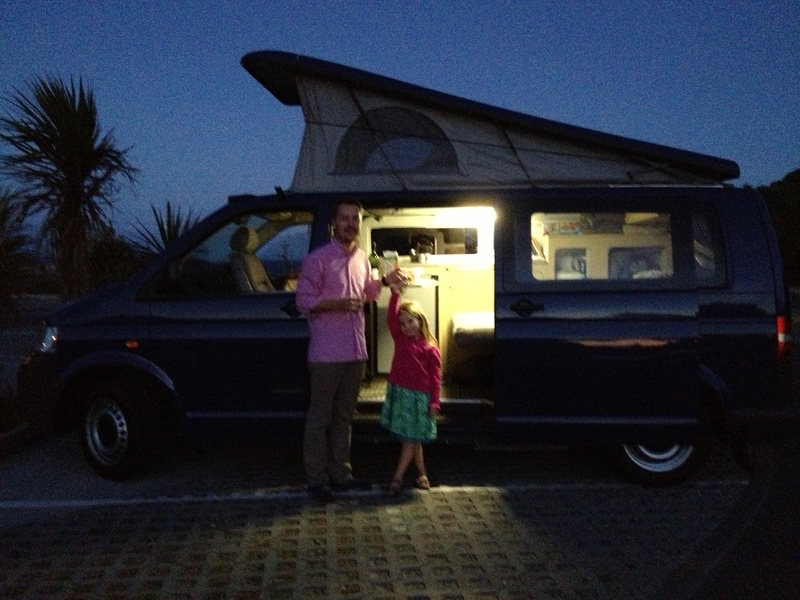 Meet Taranga, christened after an offshore island on the East Coast north of Auckland where we spent our first night. She is self-contained, meaning she is equipped with a toilet and a “shower” to allow us to “freedom camp”–a must. The toilet, however, is the portable type reminiscent of what a toddler trains on (but with a more complicated cleaning process) and the shower is a head that hangs off the back of the van. BUT, she is nimble on the road, can easily be parallel-parked and her diesel engine means great fuel economy. Her roof pops up to provide for a sleeping area which is Z’s bunk (arguably the best room in the house) and Jonathan and I convert Z’s bench into our bed each night. 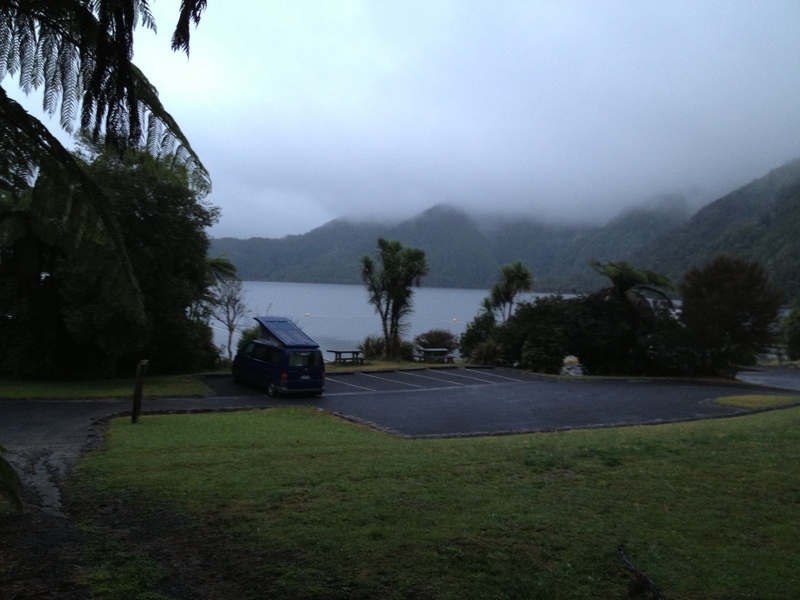 It’s become a game of “I Spy” to spot a smaller camper van on the road. Even the Dodge van from my childhood had a foot or so on Taranga. But, with each passing day we become more attached to our little Taranga, even if it wasn’t love at first sight. So totally jealous. I miss my van.